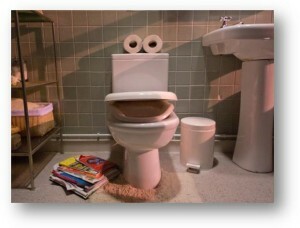 Watch singing toilet Louie the Loo this World Toilet Day! Next Tuesday (19th November) is the official World Toilet Day and this cheeky chap – Louie the Loo – came alive in the middle of the night to sing a song and ask you something! It was all for Water Aid and Louie wants you to take your time to say ‘Thank you toilet’. Around 1 in 3 people in the world don’t have access to a toilet like Louie, and this causes a huge amount of problems. So if you enjoyed Louie’s music video, share it with your mates and let them know about World Toilet Day.